In November of 1942, the five Sullivan brothers from Waterloo, Iowa, were killed when a Japanese torpedo sank their ship during the most ferocious naval engagement fought in the South Pacific. The family's loss, the most extraordinary for the United States in its military history, was immortalized—and valorized—in the 1944 film The Fighting Sullivans. This book tells the story of how calamity, with the help of Hollywood and the wartime publicity machine, transformed a family of marginal and disreputable young men, intensely disliked in their hometown, into heroes. The Sullivan boys joined the armed forces after Pearl Harbor, and the US Navy accepted that they would all serve on one ship, the light cruiser USS Juneau. The five brothers gave the navy great publicity, but when the ship went down and survivors were not rescued, the service faced a serious problem. 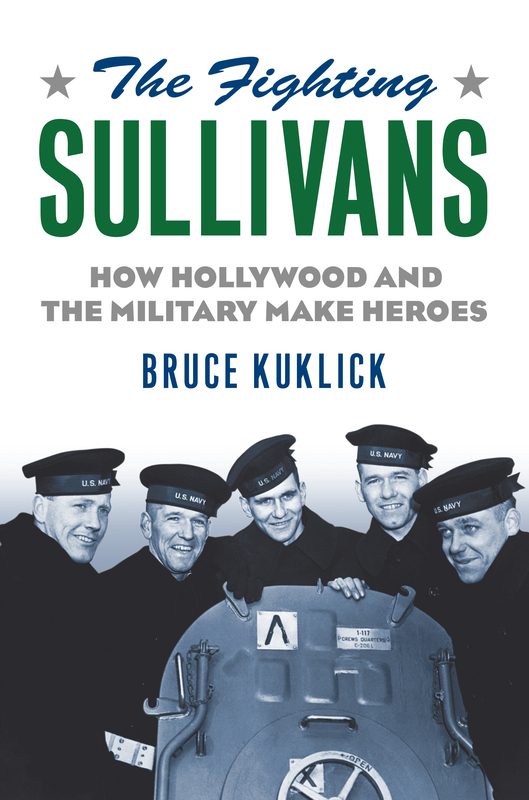 The Fighting Sullivans examines the campaign that followed, as the navy and its partners in Hollywood turned a tragedy of errors into a public relations victory. Bruce Kuklick shows how the myth of the Sullivan family was created using bits and pieces of real events, but with twists that turned the boys into superhumans and their beleaguered parents into self-sacrificing patriots. He explores the close relationship between Hollywood studios and the military, which aimed to boost morale and support for the war. A study in mythmaking, The Fighting Sullivans offers a behind-the-scenes look at the manufacture of heroes in twentieth-century wartime America. Bruce Kuklick is Nichols Professor of American History Emeritus at the University of Pennsylvania. He is most recently the author, with Emmanuel Gerard, of Death in the Congo.